There’s a great big world out there to explore, and if you are one of the lucky ones who gets to do so, you probably spent a long time preparing for your trip. You have considered just about every eventuality: from applying for your passport early enough and getting to the airport way before your flight leaves to what might possibly happen once you reach your destination. What you probably didn’t include in your contingency plans, though, was what would happen if you broke a bone in another country. In the chance that it has already or may happen to you, here is your complete guide to what happens if you break a bone abroad. Maybe you have upped your vitamin C and tripled your intake of echinacea to avoid those pesky colds. Maybe you have gone to your doctor and made sure you have medication to keep from getting air or seasick. You have done your best to prevent any type of malady from stopping you from enjoying the trip you have planned for so excitedly and for so long. But no one is immune to accidents. They happen, and if they do happen to you, you could end up seeking medical care for anything from a sprain to a broken bone. It’s best to prepare ahead of time because medical costs in other countries can add up quickly. On average, the cost of medical care ranges from as low as £889 pounds in Turkey to as high as £12,094 in South Africa. Major costs like surgery and broken bones can triple or quadruple these estimates, in addition to the hospital costs themselves. These costs could put a significant dent into your travel savings and end your trip quickly. The good news is that the UK and countries in Europe have something called an EHIC, or European Health Insurance Card (you can find more EHIC information here), and other countries offer travel insurance protection. Wherever you are traveling to, or from, it’s important to be sure you are covered. Call your travel agent and ask for their insurance options and call your insurance company to find out what they offer you based on your destination. But What if You Do Break a Bone Abroad? Plan ahead. Hopefully, you have planned ahead and covered yourself with traveler’s insurance as mentioned earlier. If not, though, you still need to seek medical care if your injuries or symptoms are severe enough, like a broken bone. Determine if your situation requires an urgent clinic, doctor’s visit, or a hospital. Medical care can come in multiple forms, and your cost will vary for each of them. Most countries will have regular doctor’s office hours, urgent clinics, and hospitals. If you have access to all of these, consider your symptoms. Injuries from a car accident, assaults, broken bones, and emergencies should be taken care of at a hospital. Other situations, such as a high fever, ongoing vomiting, and symptoms of a cold might be better off waiting for a doctor’s visit if they can get you in soon or an urgent clinic. Know where your nearest healthcare facilities are and how to access emergency services. Just like learning the phrase “Where is the nearest bathroom” should be an integral part of your basic cross-language preparation, so should “I need emergency help” be. Learn the emergency phone numbers and store them in your phones and know how to ask for help in the local language of where you are staying. If the hotel or lodging you are staying in has a doctor on site that speaks your language. Learn the basics of your own emergency care. There are times when you are not going to be in an area populated by many people. You can’t rely on someone else for your treatment. If you break a bone and there is no signal on your phone to call for help, you are going to have to handle the urgent aspects of treatment yourself. 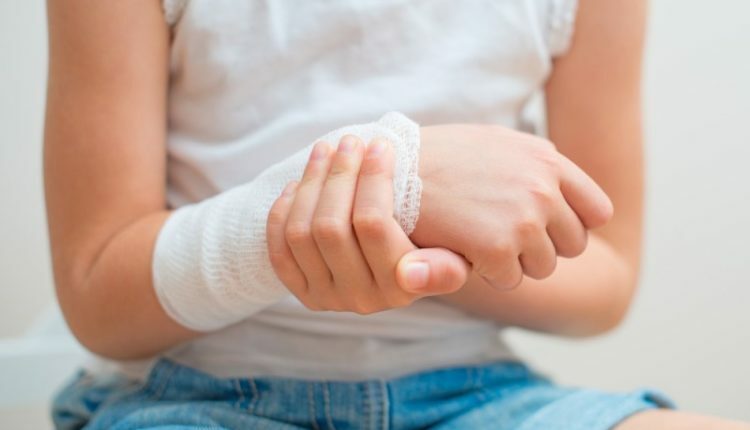 Once you have gotten treatment for your broken bone, you can expect that it will take a good six to twelve weeks to heal, depending on the severity of the break. However, even after it heals, you may end up needing physical therapy to get the strength back or even surgery if the break did not heal correctly. One thing is for sure, though – a broken bone is nothing to play around within a foreign country, so you’ll want to get emergency help, and then get back home for further medical care. Life is Short, So Live It…Carefully! If bungee jumping is on the top of your bucket list, by all means, jump! If you would rather simply tread carefully as you explore the world, that’s fine, too. But regardless of what you do or do not do, accidents can happen. If they occur while you are outside of your homeland’s comfort zone, you should have a contingency plan. Preparation for a broken bone is key, just like for all other possible events on your trip, so plan ahead!